On Sale Now! 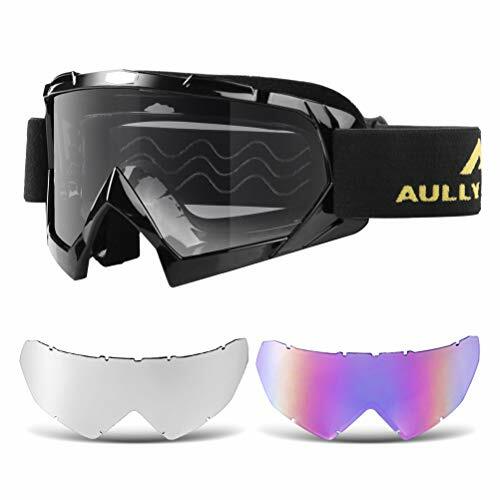 Save 9% on the AULLY PARK Motorcycle Goggles, Dirt Bike Goggles Grip For Helmet, ATV Motocross Mx Goggles Glasses with 3 Lens Kit Fit for Men Women Youth Kids by AULLY PARK at Kart Racing Network. MPN: AULLY PARK-HA-GOG0002-C8. Hurry! Limited time offer. Offer valid only while supplies last. Upgrade Feature: 1. 100% UV protection 2. Toughness, wind-proof, dust-proof, scratch resistant, shatter-proof 3. Easy to adjust the non-slip strap 4. If you have any questions about this product by AULLY PARK, contact us by completing and submitting the form below. If you are looking for a specif part number, please include it with your message.